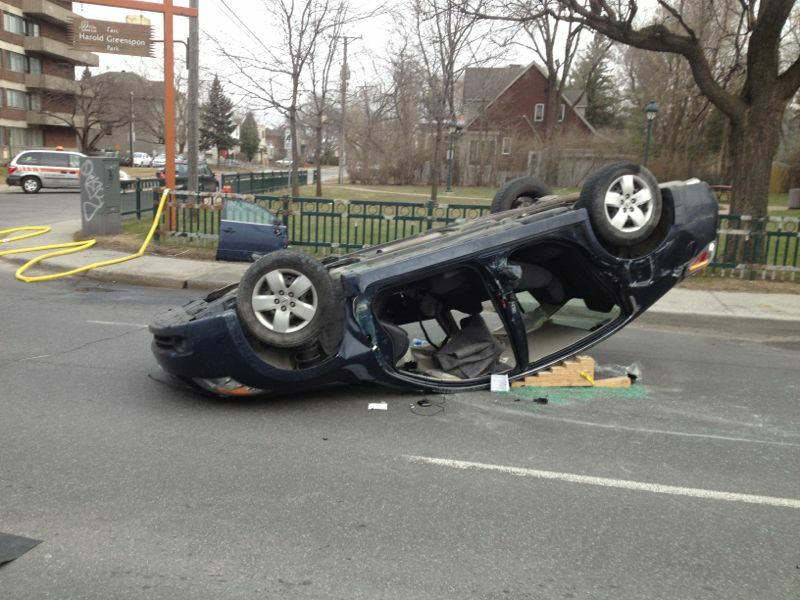 Cote Saint-Luc Road and Borden was the scene of a spectacular accident over the weekend. 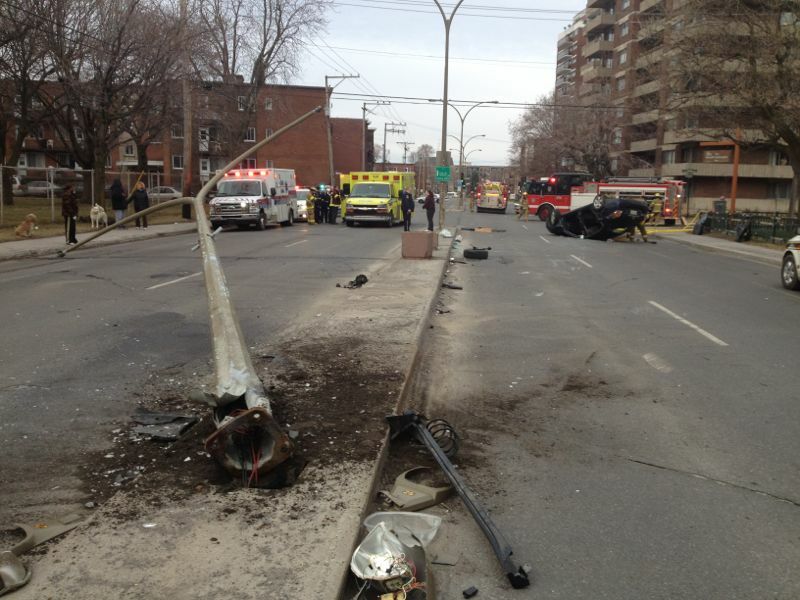 A car hit a lamp post and rolled onto its roof. CSL EMS, CSL Public Security, CSL vCOP along with SPVM, SIM and Urgences-santé were on scene quickly. Thankfully the 30-something year old driver walked away uninjured. Posted in Uncategorized on April 2, 2012 by Jordy Reichson.